A new city initiative aims to develop solar energy sources using swaths of vacant land on Chicago’s South and West Sides. Mayor Rahm Emanuel announced Sunday that the city is soliciting proposals to install ground-mounted solar panels at seven sites covering 30 acres of empty land in Austin, Englewood, West Pullman, Riverdale and South Deering. The program will target areas classified as brownfields, previously developed properties that have proven difficult to repurpose in part because of contamination issues. The city is partnering on the project with the nonprofit Chicago Infrastructure Trust, which issued a request for proposals Monday. 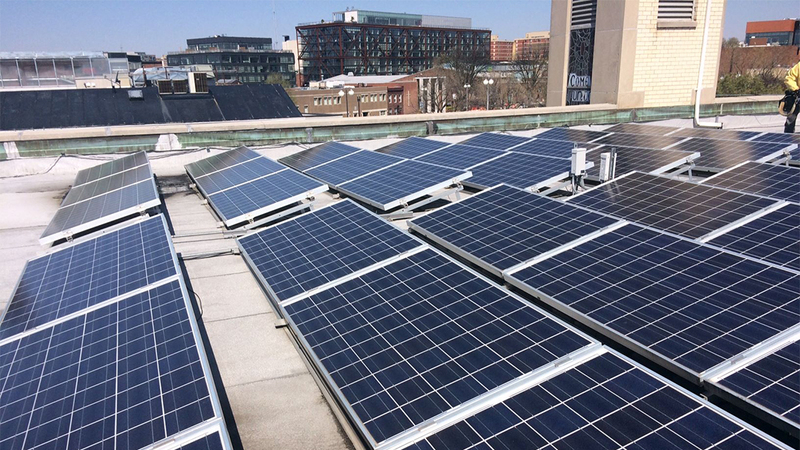 The winning bidder will own, operate and maintain the solar systems at no cost to the city, according to a press release from Emanuel’s office. The project requires the developer to hire Chicago residents for at least 50 percent of construction work hours, with at least 7.5 percent of work hours going to residents living near the project sites. In addition to developing new sources of solar energy, the city says that the new program will create opportunities for low-income residents. The program, called the Chicago Solar-Ground Mount initiative, will also enable communities affected by environmental threats such as industrial pollution to participate in the clean energy economy, according to the city’s press release. Last year, Emanuel announced a commitment to transition the city’s municipal buildings and operations to 100 percent clean and renewable energy by 2025, though how and whether Chicago follows through on the pledge is unclear given Emanuel’s decision not to run for re-election. Construction on the new solar projects is anticipated to begin in 2019.